Are you on the quest to learn to unleash your creativity…. 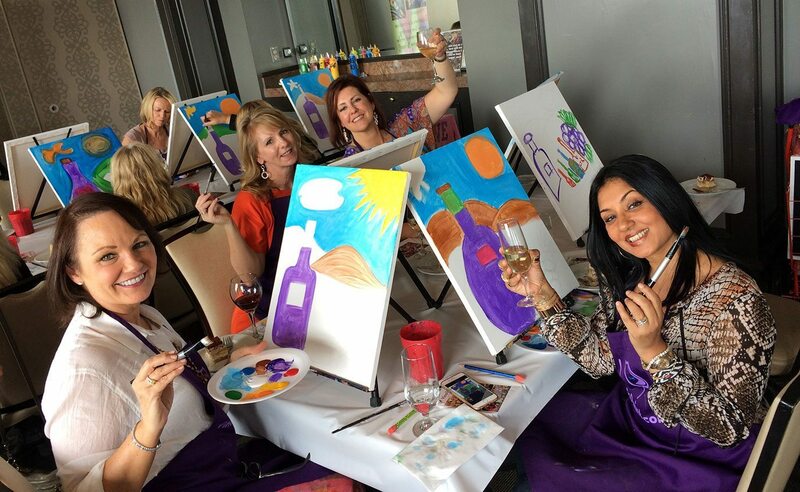 even if you have never painted before, we have a fun way of teaching you something new. 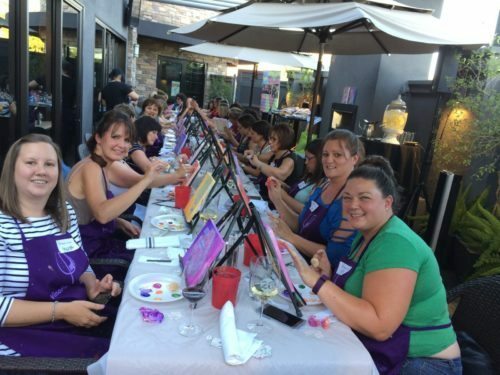 See what others are saying about our events! 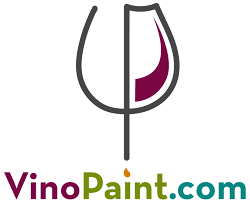 “I have had the pleasure of attending two VinoPaint events, organized and hosted by Sonya Paz. 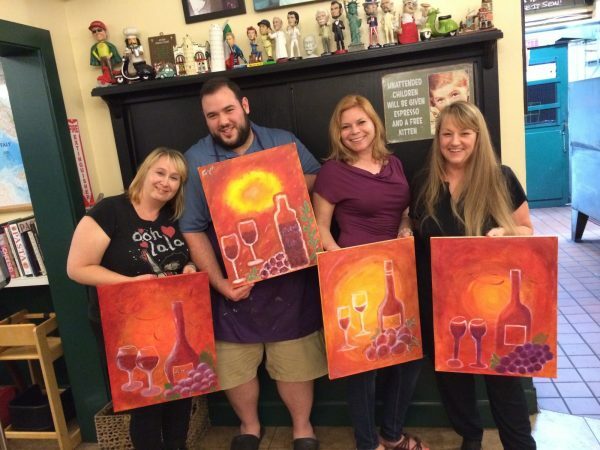 Both were so much fun and entertaining as well as an opportunity for me to spend time with friends, meet new people and work on my painting skills. 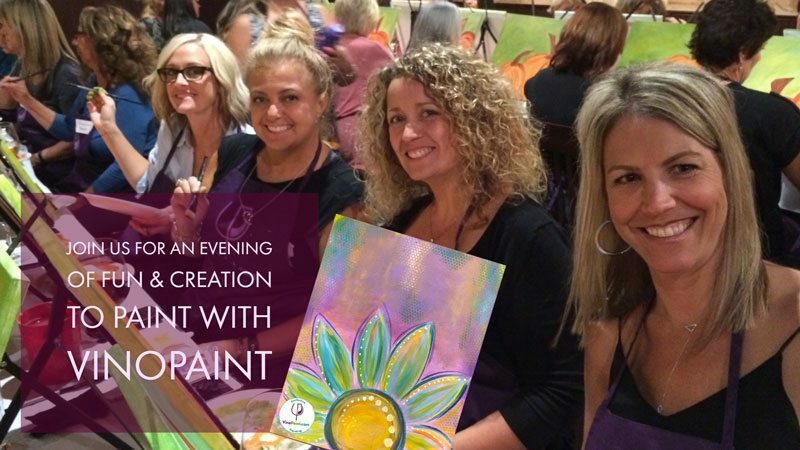 “This is such a fun Event! Having had the privilege of being on both sides of this venue,as the Owner of Ebb n’ flow, Patio, Home & Garden and then as an actual participant to “channel my artistic creativity”. We are so excited to have this dynamic and gifted women now living & sharing in our community. Sonya Paz is such a professional & diversified artist, she brings you to that high energy place..the good kind! No stress, its all about having fun,meeting new friends & reconnecting with old ones. A little wine & food (non-alcoholic beverages as well).